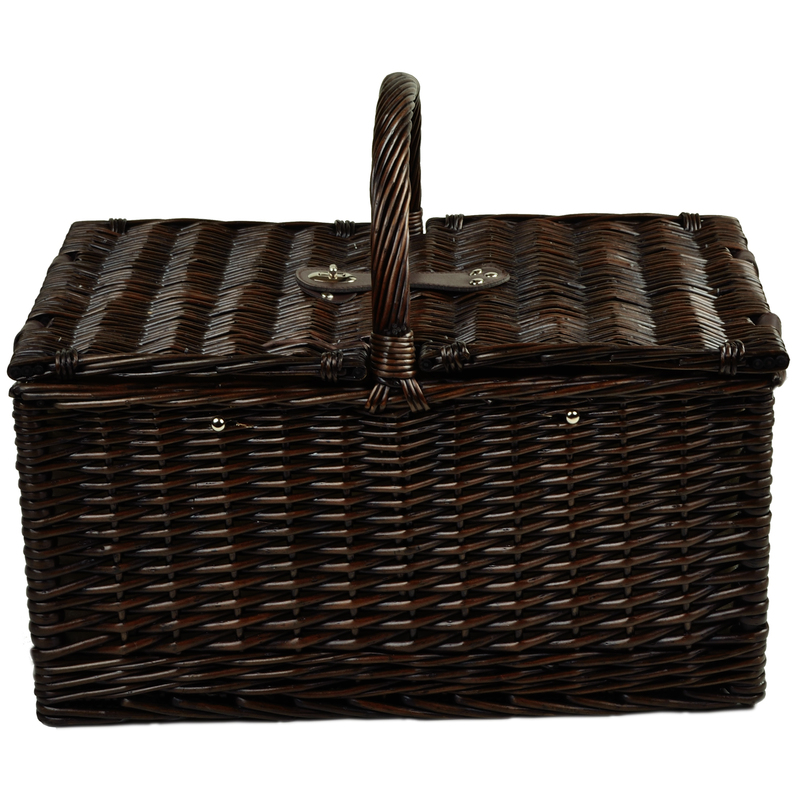 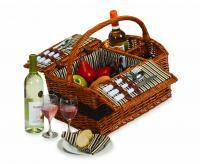 Traditional full reed willow handcrafted picnic basket for two with a rich brown finish. 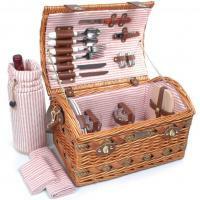 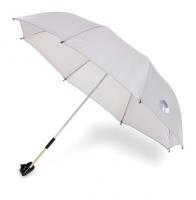 It has a traditional picnic basket shape and convenient top carry handle. 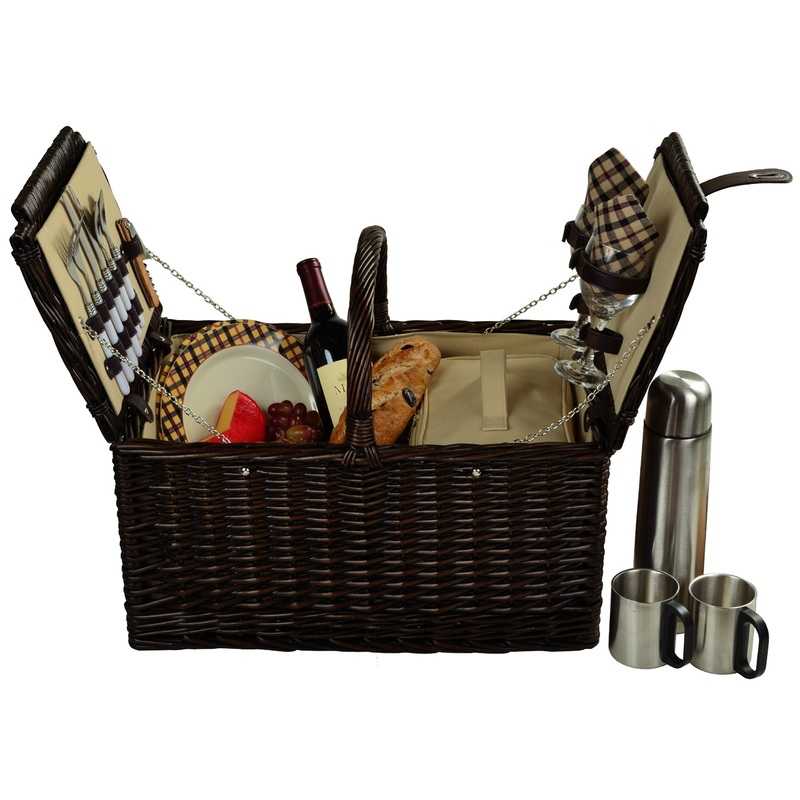 This set includes coordinating melamine plates and cotton napkins, glass wine glasses, stainless steel flatware, and corkscrew. 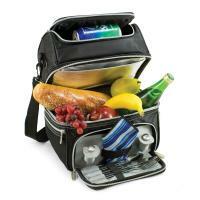 Also includes a convenient food cooler and coffee set with stainless steel coffee flask and mugs. 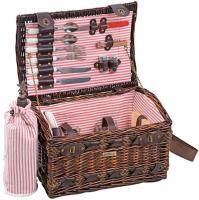 Although we have not used this yet I very much love it!